Demo over ‘exorbitant’ land cost in Murang’a – Kenyatta University TV (KUTV). All Rights Reserved. 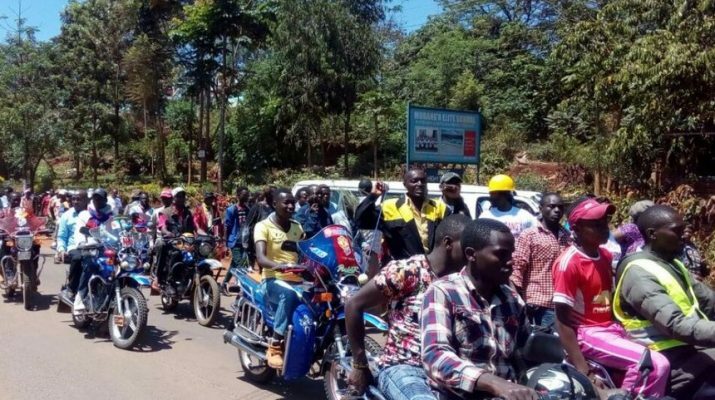 Murang’a residents yesterday took to the streets to protest against the county government for allegedly misusing resources by buying land at Makuyu for Sh10 million per acre. The residents presented a petition to the Director of Public Prosecutions office in the county giving it 10 days to investigate. The residents want Governor Mwangi Wairia investigated for committing county funds in an exorbitant land purchase deal. According to a report tabled for his impeachment, he bought an acre for Sh10 million in 2013, double the prevailing valuation and market rate that is at Sh5 million. If the purchase is not investigated within the 10 days, the residents said they will file a case against the DPP and camp at the governor’s office and the county assembly. “We write to you in the interest of the people of Murang’a raising concerns over non-action of your office in either conducting prosecutions or ordering investigations for the offences of corruption within the county government,” the petition read. Residents want Wairia to step aside and allow the law to take its cause before they hound him out of office. “The matter has been in the public domain since 2014 and more openly since November 2015, when it was featured during the impeachment proceedings,” Njoroge said. The county government is said to have purchased the land in 2014 to set up an industrial park, but the process stalled when the motion to impeach Wairia was tabled at the county assembly. The governor and his office officials were unavailable for comment. They did not pick our calls or reply to our messages.